Lakeshore High School is one of the newer schools in the state. In fact, the school has only been open for about ten years. 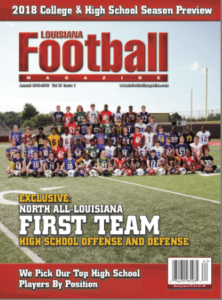 However, over that ten year period, not only has the school grown, but the football program has grown to really big heights especially over the last two seasons under Head Coach Craig Jones. In his first four seasons, the young program has showed progress winning 20 games over that period. However, nobody could expect what this program would do in 2017. It turned out to be the best season in program history finishing with an undefeated 10-0 season and locking up the number two seed in the Class 4A playoffs. Still, a lot of people have not heard about the uprising program and did not take the team seriously. The Titans showed what they were made of facing one of the most dominant football programs in the state in Neville High School for the quarterfinals. Not only did the Titans defeat the historic program, but they dominated winning 55-24. That victory sure opened a lot of people’s eyes and the team continued winning the very next week against Rayne High School in order to advance to the Superdome for the Class 4A state championship. Although the Titans did not finish like they have hoped losing to Edna Karr High School in the championship game, that season has paved the way for a program that is on its way up. This season, the Titans have once again showed that 2017 was no fluke having another undefeated regular season and advancing to the Class 4A quarterfinals. Lakeshore senior WR Jacob Bernard was a star on both those teams that combined for a record of 26-2 in that two year span. Bernard will be remembered as one of the key players to jump start the huge success of the program as well as doing a little bit of everything for the Titans. 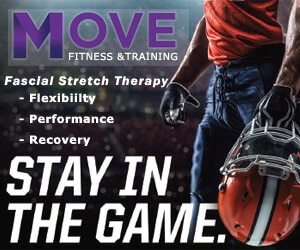 Over his career, he has had 150 catches for 2,912 yards and 36 touchdowns along with 854 yards and 22 more touchdowns rushing. Not to mention, he has been a big factor on special teams whether it is averaging 40 yards a punt as a punter or as a returner with four punt return and kick return touchdowns to his credit. Even though a star like Bernard deserves a lot of credit for the success of the team, he is quick to point out that it took a team effort in order to get where the program is at now. Louisiana Football Magazine’s recruiting expert Lee Brecheen has always been very high on Bernard. Before the 2018 football season, Brecheen put Bernard on the cover of the South Louisiana preview magazine as well as on the 1st Team All-South Louisiana team. Brecheen has even grown more appreciative of not only his talent, but his willingness to do whatever is best for his team whatever means necessary. His versatility and incredible athletic ability has attracted many football programs. 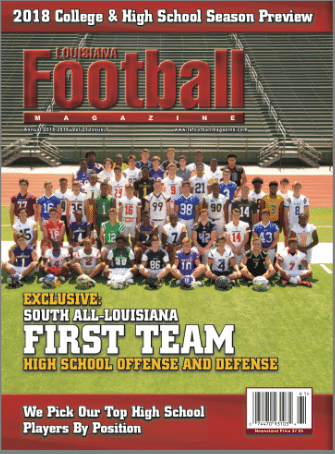 Bernard has received offers from Southeastern Louisiana University, ULL, Tulane, Nicholls State, Army, South Alabama, Kentucky, Louisiana Tech, Air Force, Southern Miss, Princeton, Ball State, Yale, Harvard, Cornell, North Texas, Colorado State, Memphis, etc. As of right now, Bernard has yet to make his decision, but what he is sure of are the standards he is looking at when choosing a program. 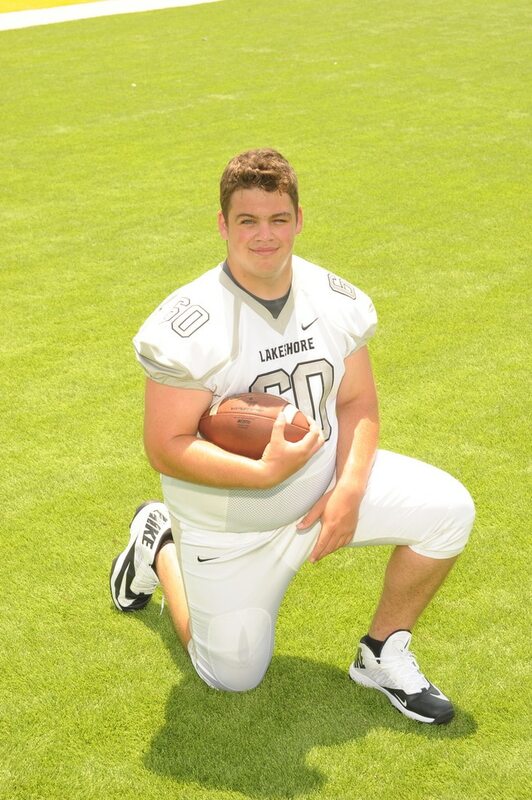 Bernard is not the only Lakeshore senior that will be making a decision on where to play football at the next level. 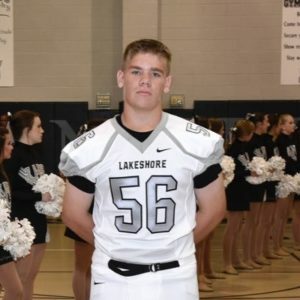 His teammate OG/DE Eric Kieper Jr. has received scholarship offers from Concordia University, McPherson College, Beloit College, Lawrence University, Oberlin College, Aurora University, Presentation College, Briar Cliff College, and Dordt College. At 6-2, 250 pounds, Kieper made the 1st Team All-District his senior year after making honorable mention the season before. He is another two way player that Brecheen is impressed with on the field. Brecheen also believes that this record breaking senior class has some other members that have the potential of playing at the next level. As you can see, this is a strong senior class full of tough, hard nosed football players that do not care if they play the entire game both ways. 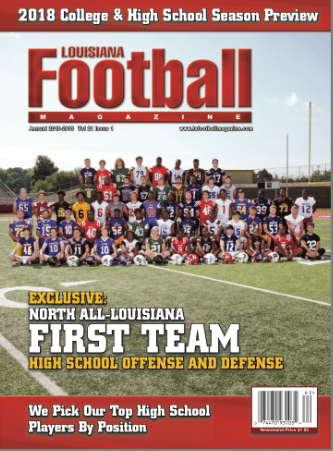 This young program was successful because of how hungry and motivated these players were to be the ones to put Lakeshore on the football map in the state of Louisiana.